Our most recent Fun Friday had our teams showing off their state pride! With a community portfolio that covers the great states of Florida, Georgia, North Carolina, Tennessee, and Texas, our employees have a lot to be proud of when it comes to their home states. That’s why they jumped at the opportunity to show some state love during our first ever State Pride Fun Friday. Whether in a state known for ropin’ horses, peach cobbler, Disney, country music, or The Tarheels, everyone has something to appreciate about their home state, and our employees certainly weren’t scared to show it in their own way! 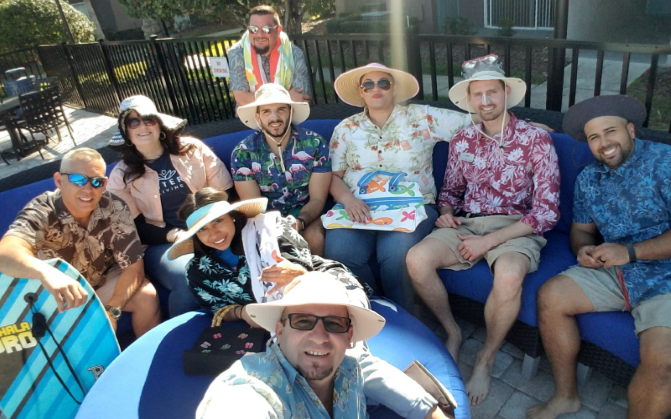 A chance to get a little more comfortable than usual and have a blast during our themed Fun Fridays is a great example of our Employer Promise to “make time to have fun and celebrate success,” and our teams are great at doing just that! They always go all out for our Fun Fridays, and State Pride Fun Friday was definitely no exception. Check out our employees enjoying the day below! Do you know someone who should be enjoying Fun Fridays on a Venterra Team? Refer them to us and you could be $250 richer!